Welcome to Week 28 of Year 8 here at Paint Party Friday! Can't beat these beauties by Denthe. Happy PPF every one. Congratulations Denthe.. I so loved your sassy sandals. Fantastic job by Denthe, one of a kind. 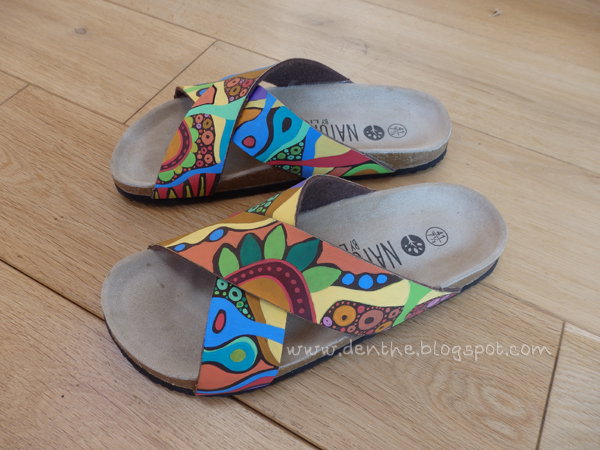 wonderful to see Denise's fabulous slip on makeover-love these! Happy PPF! So very cool! Love this! Denthe ~ so creative and practical ~ lovely sandals! Denthe, these are fantastic!!! Happy PPF everyone! They look wonderful! Happy PPF! Brilliant sandals! Happy PPF to all!